Nidesoft DVD to iPod Suite is all-in-one easy-to-use DVD to iPod rip software, iPod music and iPod Movie converter, iPhone converter. The Suite includes two excellent products: Nidesoft DVD to iPod Converter and Nidesoft iPod Video Converter. 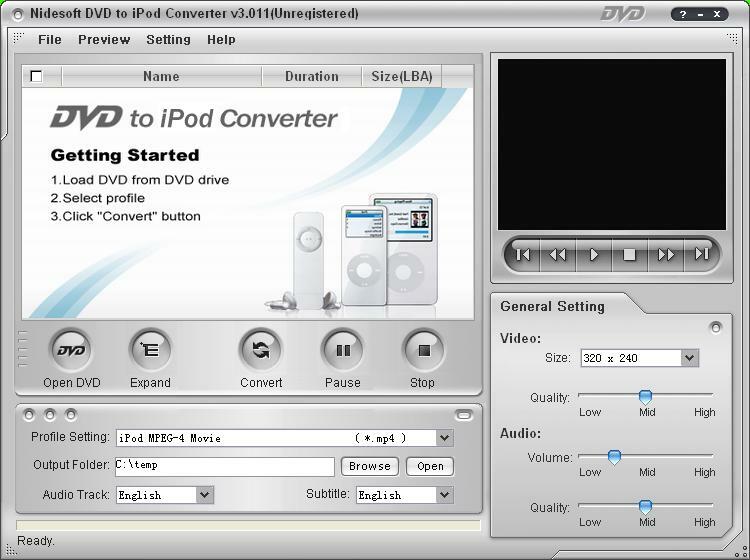 Nidesoft DVD to iPod Converter is powerful DVD to iPod rip software which convert DVD to iPod movie, iPod music, iPhone Video with high quality and fast conversion speed.